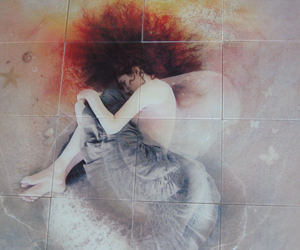 A tile mural from Tile Murals Plus is an exciting way to put your personal stamp on a room. 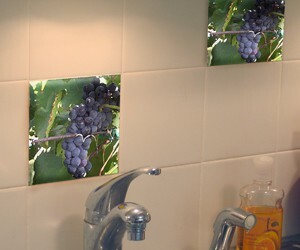 Tiles can be used in many ways…from backsplashes, framed artwork, or as an inset. 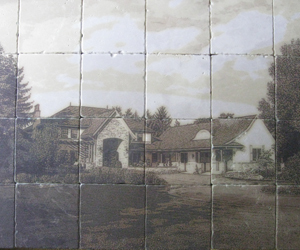 Any room in the house can benefit from a tile mural… kitchens, bathrooms, powder rooms, family rooms, bedrooms, living rooms… anywhere you’d like to put your personal touch. 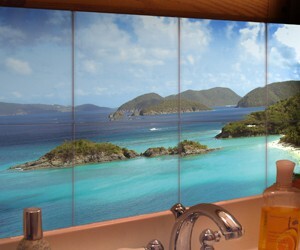 We only do custom work, so you can be assured that your mural will reflect your unique taste. Everything we do is custom for you… so….create your own artwork, use a great personal photo, find an antique photo… the list of images is as long as your imagination. Don’t want to put in something permanent? No problem! 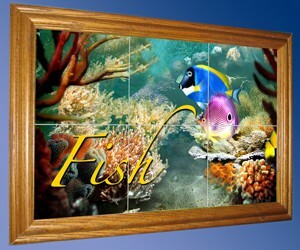 We can make your mural as framed art, that you can simply hang. We have lots of ideas and loads of experience. 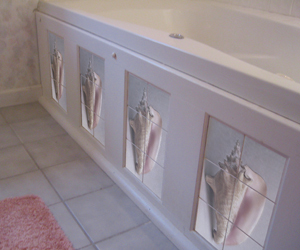 Ceramic, glass, stone-like porcelain, or hardboard, we’ll help you choose the right product for your project. 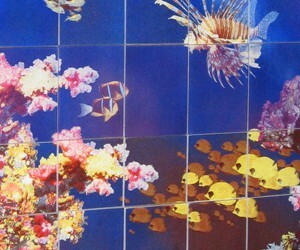 Contact us today for your free, no-obligation consultation and see how a Tile Murals Plus mural or accent tiles will fit into your decorating plans. 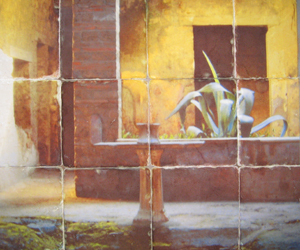 Below, you will see some examples of tiles used for decor.